Iran supreme leader’s comments come after increasing tensions surrounding future of nuclear accord. DUBAI- Iranian Supreme Leader Ayatollah Ali Khamenei said on Sunday war was unlikely but called on Iran’s armed forces to boost their defense capacities, according to his official website. On Saturday, Iran announced plans to boost its ballistic and cruise missile capacity and acquire modern fighter planes and submarines to boost its defenses as the country faces increased tension with the United States following the US pullout from Tehran’s nuclear agreement with world powers. The regime in Tehran had hoped to be in a different ‎position by now, especially in the Syrian arena. Iran wants to control Iraq, which is the scene of a ‎fierce battle between pro-American and pro-Iranian ‎forces. Controlling Iraq means more than money and ‎power; it means continuous land access between Iran ‎and the Mediterranean nations. From Iraq, Iran would be able to have direct, ‎more effective influence on Syria. Israel is not the ‎only one threatened by these entrenchment efforts. ‎Saudi Arabia and the emirates are high on Iran’s ‎list of objectives, as are the moderates in Iraq. International sanctions have not hampered the development of Iran’s military industry, deputy defense minister says • Comments come a day after Iran dismisses calls for talks on its future nuclear plans, ballistic missile arsenal and role in Middle East. Iran plans to boost its ballistic and cruise missile capacity and acquire modern fighter planes and submarines, state news agency IRNA quoted a senior Iranian defense official as saying on Saturday. The report came a day after Iran dismissed a French call for negotiations on Iran’s future nuclear plans, its ballistic missile arsenal and its role in the wars in Syria and Yemen, in the wake of the U.S. pullout from the 2015 nuclear agreement between Iran and world powers. Iranian state media also reported the launch last week of war games involving some 150,000 volunteer Basij militia members, who vowed to defend the Islamic republic against “foreign threats,” including from the United States. Tehran is furious over U.S. President Donald Trump’s decision to withdraw from the nuclear accord and reimpose sanctions on Iran. Senior Iranian officials say the country will not yield easily to a renewed U.S. campaign to strangle Iran’s vital oil exports. They also say Iran’s missile program is solely for defense purposes and is not negotiable, as is being demanded by the United States and European countries. “Increasing ballistic and cruise missile capacity and the acquisition of next-generation fighters and heavy and long-range vessels and submarines with various weapons capabilities are among the new plans of this ministry,” IRNA quoted Deputy Defense Minister for International Affairs Mohammad Ahadi as saying. “We have the necessary infrastructure and what we need to do is research and development, and at the same time upgrade and update the defense industry while relying on the country’s very high scientific capacities and tens of thousands of graduates in technical fields and engineering,” Ahadi said. Separately, the head of the Defense Ministry’s naval industries said Iran is developing a water jet propulsion system that will be ready by March next year, and a military commander said the Iranian air force is planning to adopt the new Kowsar fighter plane after successful tests, the semi-official news agency Tasnim reported. Last month, Iranian President Hassan Rouhani said the Islamic republic’s military prowess was what was deterring the U.S. from attacking it. The exercises by the Basij militia, which are led by the elite Revolutionary Guards, come ahead of massive annual rallies planned for later this month to mark the start of the 1980-1988 Iran-Iraq war. “The motto of these war games is unity … and to declare that, when it comes to adversity and threats from foreigners, we all join to defend the [Islamic] republic’s system,” Basij commander Gholam-Hossein Gheibparvar was quoted as saying by IRNA. Tehran’s goal is to pressure Israel on two or more fronts, making any Israeli moves more complex in this dangerous chessboard of missile threats. Two recent reports reveal the depth of Iran’s missile threat emanating from Iraq and Syria. In Syria, a clandestine surface-to-surface missile (SSM) facility at Wadi Jahannam will likely be completed by early 2019. In Iraq, the Iranian regime has deployed medium-range missiles with Shi’ite militia proxies that are capable of hitting Israel. Together the missile threats represent a creeping power play by Tehran at the same time Prime Minister Benjamin Netanyahu has insisted Jerusalem will continue to act against threats, and after John Bolton visited Jerusalem in mid-August. On August 30th, ImageSat International released a report noting that “Tehran is a major contributor to the Syrian missile project, including building the new SSM facility near Baniyas.” ImageSat International had previously released satellite images of the Wadi Jahanamm site last August. But the new details link the Wadi Jahannam facility to the nearby Masyaf facility which was repeatedly hit by IAF air-strikes. Both Masyaf and the other site are “located within the operational range of an S-400 deployment” because they are close to Russian facilities at Tartus on the coast. Iran on Saturday denied a Reuters report that it has transferred ballistic missiles to militias loyal to it in Iraq. 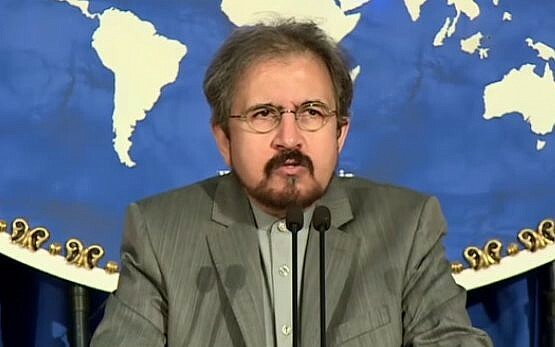 “The lie disseminated by some media on shipment of Iran-made missiles to Iraq is totally irrelevant and unfounded,” Iranian Foreign Ministry spokesman Bahram Qasemi said. “Such news comes merely to cause panic among countries in the region and is in line with their policy to spread Iranophobia,” Qasemi said. They seek to influence Iran’s foreign relations mainly with its neighbors, he said. 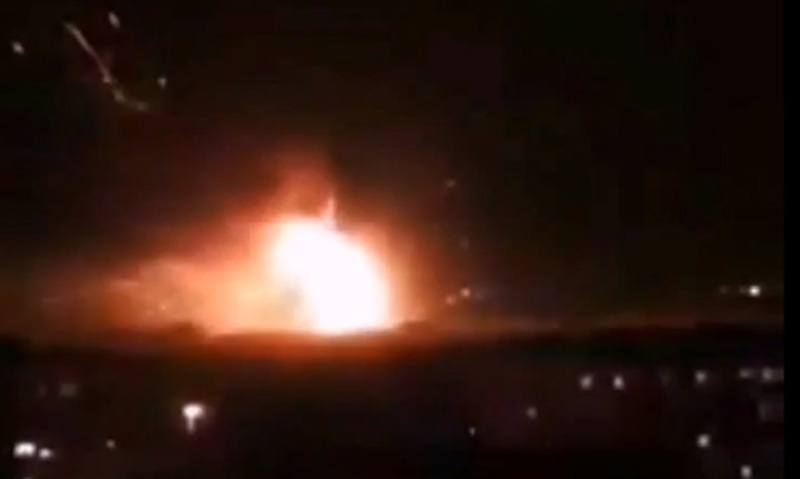 The Friday report stated that several dozen rockets capable of hitting Israel and Tehran’s Sunni rival Saudi Arabia had been deployed with Iran’s Shiite proxies in Iraq. It added that Iran was working to provide its allies with missile manufacturing facilities, and has been training militia members in operating the new weapons. Iran’s proxies, allied militias as well as its own forces are involved in internal conflicts in Syria, Lebanon, Iraq, and Yemen.